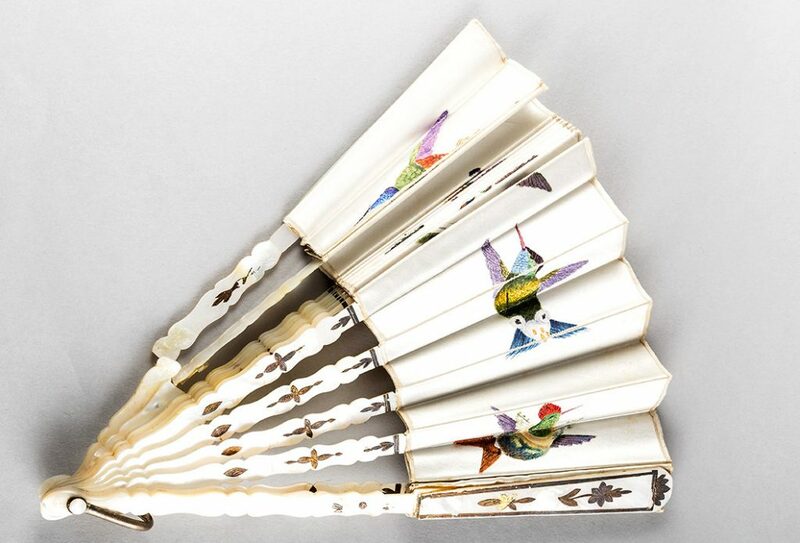 Beautiful silk fans like this were used by women to communicate with men. In an age where a woman’s behavior was highly scrutinized, a fan was a discreet means of communicating her feelings. Throughout the Victorian era, well-to-do society adhered to a strict set of rules and etiquette that governed all aspects of everyday life. The day-to-day life of the average middle-class or upper-class lady was directed by rule after rule, from the time she rose in the morning until the time she went to bed at night. One of the only means of freedom of expression was through coded messages using the lost art of ‘fan language’. 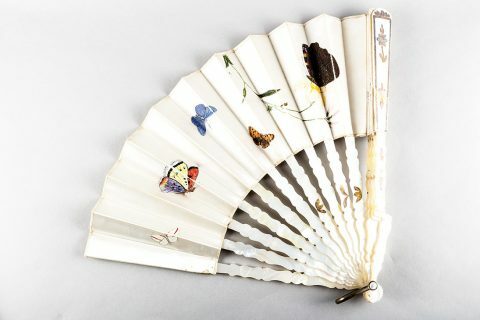 A ball outfit was not complete without a fan that could be used to send messages to friends or admirers. 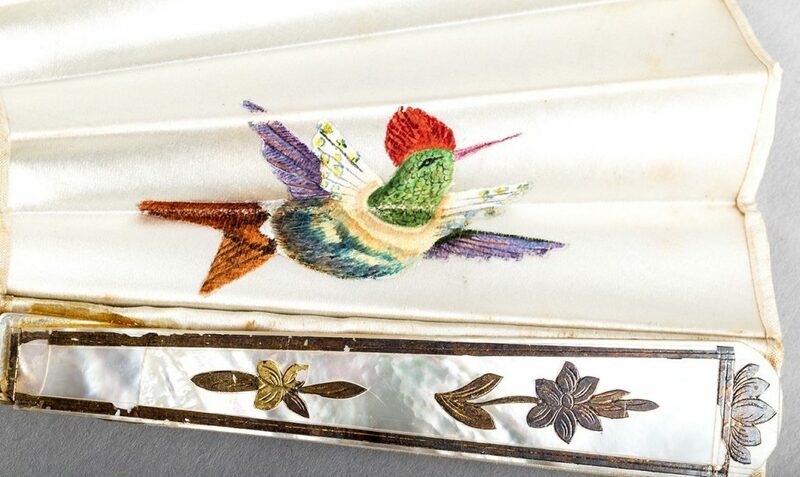 This white silk fan with an ivory handle, with hand-embroidered and painted flowers on one side and birds on the reverse, is a classic example of mid-19th-century design. 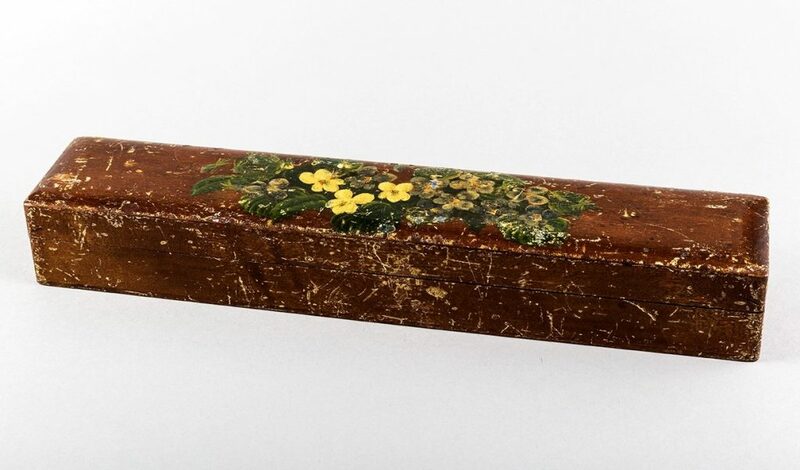 It was found in a wooden box in a bookcase at Culzean Castle, alongside a mother-of-pearl aide-memoire or notebook that belonged to Julia, Marchioness of Ailsa, in the 1850s. 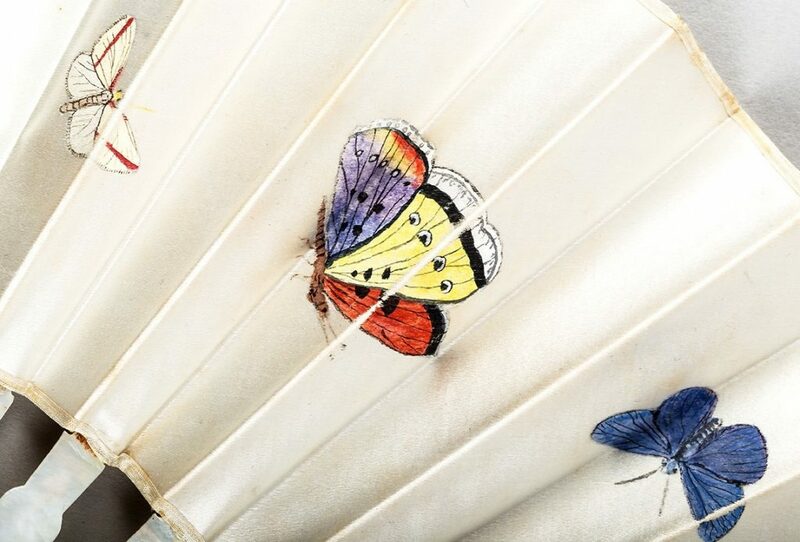 We have been unable to establish if this fan actually belonged to Julia but it is probably safe to surmise that she would have owned similar fans during this period. Just imagine the number of dazzling balls and dances that were held in the Victorian era, with ladies dressed in all their splendor. Where you placed or how you carried the fan signaled a variety of different messages. Carrying your fan in your left hand, for example, meant that you wished to make the acquaintance of the person at whom you waved the fan, but drawing the fan across your forehead meant that you and your admirer were being watched by someone! Other messages included drawing the fan through your hand, indicating that you hated the person with whom you were conversing, whereas sliding or pressing the fan against your cheek signaled that you loved them. In an age where we can freely communicate how we feel on many different platforms, the dichotomies and paradigms of Victorian etiquette are somewhat obscure to our 21st-century social norms. We may think that fan language is quaint or strange but it offered a Victorian lady a rare outlet to express herself and voice her feelings, a practice we can mostly take for granted today. This article is by Rachel Sayers, Lead Inventory Officer, Project Reveal Team South West. Project Reveal is a multi-site digitization project of unprecedented scale. With your support, we can help the Trust manage its collections more effectively. Most important, we can help the Trust discover, better understand, and share its treasures with the world. This article was originally published by the National Trust for Scotland on January 25, 2018.